Twin Cities Chimney Sweeps is a full service chimney cleaning, inspection and repair company serving homeowners throughout the Twin Cities and surrounding metro area. We are fully licensed, insured and bonded. Looking for firewood? 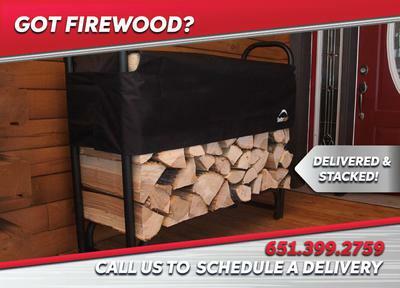 We deliver firewood in the Twin Cities metro area and even stack it, saving you the time, money and hassle of doing it yourself. Call 651.399.2759 to schedule a delivery or visit https://www.twincitieschimneysweeps.com for more information.